**For more options, please contact us. Compact structure, small size, easy installation and maintenance. *45# steel is optional for excessive thrust cylinder or certain conditions. surface chrome plating, antiwear, anti-corrosion. *SUS304 is optional for Cylinder rod. 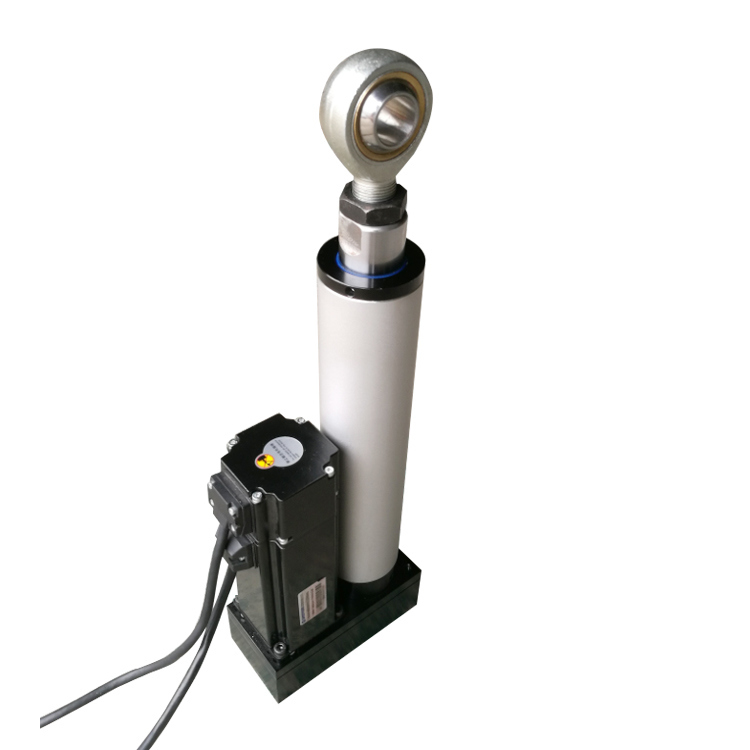 Internal application of ball screw and roller screw. Thrust, speed, stroke and installation can be customized. *Reducer unit is optional to drive high thrust with small power. Motor is optional to different requirement. 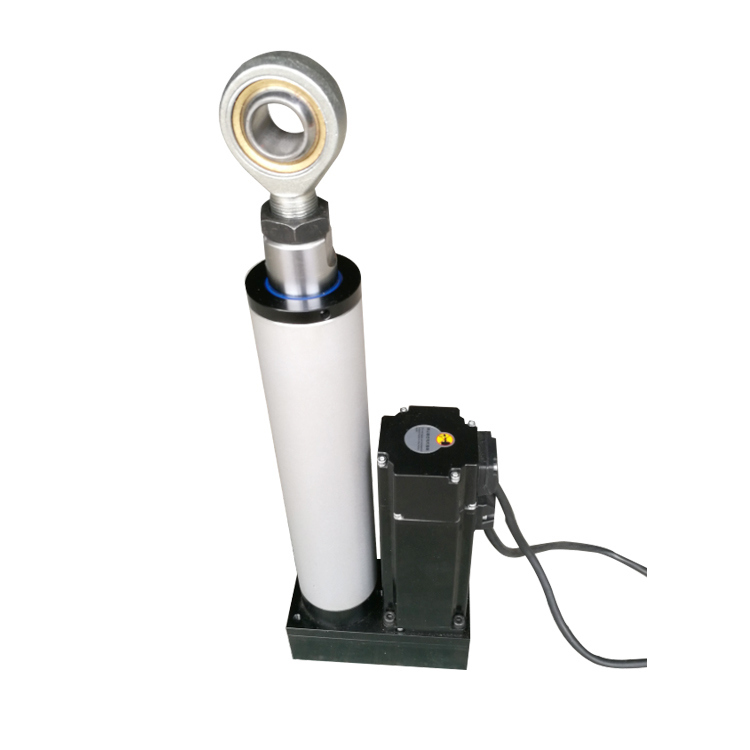 *AC servo motor, low voltage servo motor, stepping motor, DC motor, variable frequency motor, etc. 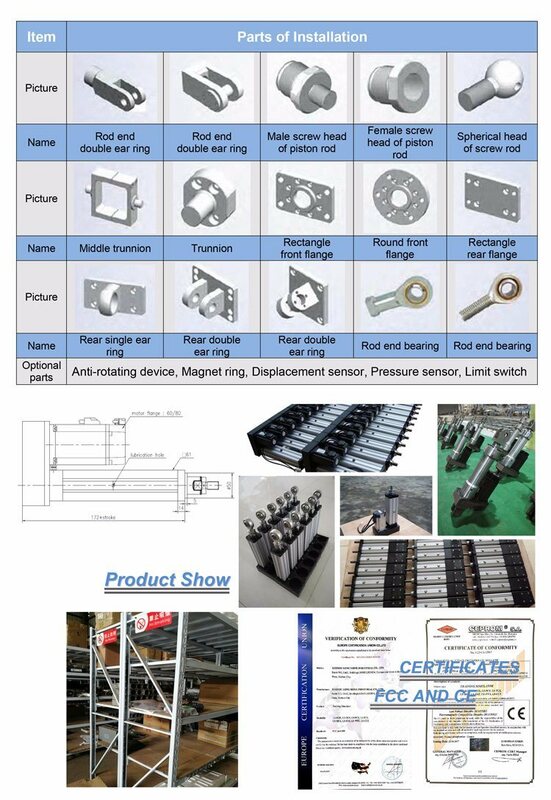 Â All optional parts can be designated or supplied by customer, for e.g. : servo motor, reducer. 1. Q: Can you produce products according to our requirements? Â Â Â Â A: Yes, we can do customized products according to your detailed requirements if it is not our standard products. We have experienced engineers, they will also give you the most practical suggestions and designs. 2. Q: Do you have the products in stock. Â Â Â Â A: Usually, we have different materials in stock, we can produce them soon after you confirm order. Â Â Â Â A: Â If we have stock for your order, we could deliver in 5 to 10 working day after 100% payment received. If there is materials short in stock, we will deliver in 10 to 40 working days after 100% payment received. So please contact us to confirm. Â Â Â Â A: Yes, we will. 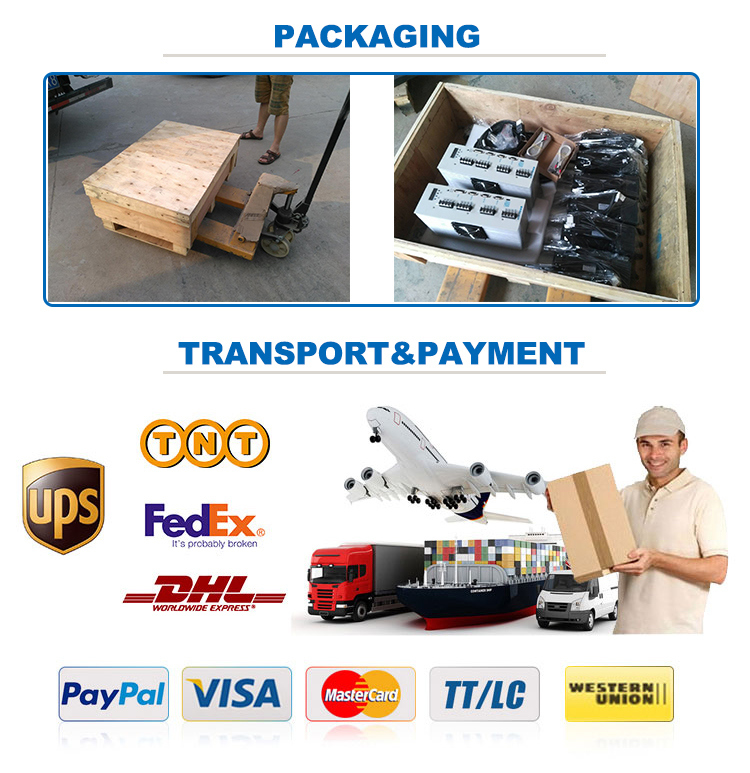 We have experienced quality management team and we send out goods outbroad every day. And we can offer goods photos before delivery. 5. Q: Do you offer after-sale service? Â Â Â Â A: Yes. We have experienced engineers, they are ready at any time to answer customer's questions. And for customer's request, our engineers can offer home service. For details service terms, please contact us.